MALAYSIA’S & ASEAN/APEC LEAD CONSUMERIST DR JACOB GEORGE – ENTRAPMENT JOURNALISM STRIKES AGAIN IN THE UK! “As for the FA – their priority and rightly so, is to protect the wider interests of the game and maintain the highest standards of conduct in football. Big Sam Allardyce has lost his England job, a position that he has always coveted! And just after 67 days at that job and after just one game in charge, following allegations of his willingness to be involved in dodgy dealings and shady transactions over player transfers. This is nothing new in many parts of God’s earth where from industry captains to politicians, head of states, criminals, to cooks, bankers and fund operators and others who like to live on the edge and repeating the mantra that “ rules are there to be broken! But I have always stated that with rule breaking comes consequences and the right thing to do when caught, not further excuses or a local and global blame game but to stand aside! As I write this piece – Big Sam has lost his job! It is reported that FA chairman Greg Clarke and chief executive Martin Glenn met with Allardyce at Wembley following the damaging newspaper revelations left his position untenable. It was positioned politely that Allardyce agreed to leave by mutual consent following the Daily Telegraph sting operation that captured him negotiating lucrative speaking engagements in the Far East, as well as making damaging remarks about the FA and a host of other issues, including the banned system of third-party ownership of players. And Glenn, who led the three-man panel that nominated Allardyce, made it clear it was impossible for the FA to ignore the incendiary comments given their position as the game’s governing body, even though they would have preferred to keep the former Sunderland boss. The story here was broken by the Telegraph in London, through an undercover sting involving journalists posing as representatives of a football agency, who had no scruples about bending Football Association and FIFA rules on transfers, particularly so-called third party ownership deals! Several years ago, this same media group also exposed the scale of British MPs expenses scandal, which rocked Westminster! In this recent case, Allardyce was secretly filmed by the paper’s investigations team, appearing to make comments suggesting how to circumvent regulations, which prohibit the sale and transfer of players, who are whole or partly owned by third parties – agents or investors – rather than the club who is selling them, meaning that they take a slice of the deal when the player is sold rather than the cash going to the club concerned. 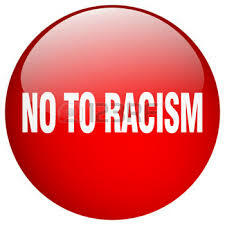 It is reported that Big Sam accepts, he made a significant error of judgment and has apologized! As for the FA – their priority and rightly so, is to protect the wider interests of the game, and maintain the highest standards of conduct in football. And the England job, is a position which must demonstrate strong leadership and show respect for the integrity, of the game at all times. It is sad that the end result of this, Big Sam’s reputation will now be tarred, by the ignominy of his departure, but he will probably always be the answer to a trivia question – who was the England manager with the shortest tenure and a 100 per cent record. But this episode also brings to ground zero, the entrapment journalism that is prevalent in some societies! We may need to address this in a court of law soon as entrapment is also an offense in certain jurisdictions! As I indicated, prior to this shocking revelation, another episode that rocked was that the same media group exposed the scale of British MPs expenses scandal some years ago! There were consequences there too, with the media publishing its exposé of MPs’ expenses, triggering the most explosive British political scandal of the modern era. Those despicable revelations of abuse by some MPs – complete with jaw-dropping details of fraud, fake receipts, claims for ornamental duck houses and moat-cleaning – caused such a sensation that it seemed for a while as though the Palace of Westminster might at any moment be stormed by an army of justifiably irate taxpayers! And there were justifications for that, as voters were already furious with the Establishment. If my memory serves me correct, in the previous autumn, several of Britain’s biggest banks had come within hours of collapse, requiring bail-outs to the tune of many tens of billions of pounds, all approved by ministers who had failed to regulate the reckless banks properly in the boom years. As the country headed into the deepest recession in seven decades, here were some of their elected representatives caught with their hands in the till, taking public money in vast amounts. As a British trained and educated Attorney, I believe the tsunami which broke over Westminster was unlike anything experienced, even by the most jaded MPs and journalists. Come off your backsides – globally the message is clear, yet individuals in positions of public office continue to fail and worst, refuse to stand aside, when caught for inappropriate behavior, bringing disrepute to public office, or corruption, which is despicable! In some countries, those behind the ‘stink operation’ may ever disappear in inexplicable circumstances, while the regime of dirty politicians continue? While others criminalize the whistle blowers or worst sweep the dirt under the carpet! But the global message is clear – if one fails to love up to expectations in public office, it is time to go! And there must be a universal global action to address this urgently! Big Sam made a very bad decision, and it has costs him dearly! He let down many in the industry and supporters! But he did the right thing – to stand down and walk away. 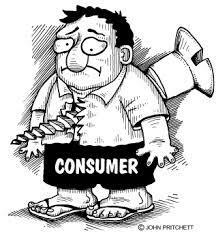 MALAYSIA’S & ASEAN/APEC LEAD CONSUMERIST DR JACOB GEORGE – ADDRESSING CORRUPTION MUST BE A GLOBAL EFFORT TODAY! It is a fact that corruption is nothing new in many parts of the world! So much said, written, discussed, exploited, promised and denied! From East to West, North to South, we all know how corruption damages the social and institutional fabric of many countries, but despite so, it is far more potent in today’s society, then it ever was and in some, systemic, justified in race and political ideology! As such, I will instead attempt to look at the reform options and avenues open to future generations to address this abomination and sin, that has gone untouched, unaddressed and even if addressed, only cosmetically! I have always being an advocate who has recommended a two-pronged strategy aimed at increasing the benefits of being honest and the costs of being corrupt, what I call a sensible combination of “reward and punishment” as the driving force of reforms. To address it, I will attempt to look at several options available to us. 1. A Well Paid Civil Service! Will a well-paid civil service act as a deterrent against corruption? This was raised in Singapore several decades ago, and addressed implemented accordingly and successfully, by that government to this date! And credit to the much endeared and loved affectionately, founding father of Singapore, the late Premier, Mr Lee Kuan Yew! Some say that whether civil servants are appropriately compensated or grossly underpaid will clearly affect motivation and incentives. That if the public sector wages are too low, employees may find themselves under pressure to supplement their incomes in corrupt activities. I will not deny that there is evidence from several countries, where this is true with empirical work showing that in a sample of less developed countries, there is an inverse relationship between the level of public sector wages and the incidence of corruption. But, then again, there are also evidence that greed has no borders as seen in several countries, where despite wealth and political power, greed over-runs all like a runaway bullet train! Only the corrupt, will disagree that the creation of transparency and openness in government spending will curtail and reduce corrupt activities. In several countries, both rich and poor subsidies, tax exemptions, public procurement of goods and services, soft credits, extra-budgetary funds under the control of politicians—all are elements of the various ways in which governments manage public resources. And yes, governments collect taxes, tap the capital markets to raise money, receive foreign aid and develop mechanisms to allocate these resources to satisfy a multiplicity of needs. I cannot deny that several countries do this in ways, that are relatively transparent and make efforts, to ensure that resources will be used in the public interest. The more open and transparent the process, the less opportunity it will provide for malfeasance and abuse. I have always advocated and supported a narrative, that in countries where citizens are able to scrutinize government activities and debate the merits of various public policies also makes a difference. In this respect, press freedoms and levels of literacy will, likewise, shape in important ways, the context for reforms. Whether the country has an active civil society, with a culture of participation could be an important ingredient supporting various strategies aimed at reducing corruption. And governments should not hide corruption by hiding behind the Official Secrets Act (OSA) for example, or other draconian statutes! For example, let me cite New Zealand, which is consistently one of the top performers in Transparency International’s Corruption Perceptions Index! Are you aware that New Zealand is a pioneer in creating transparent budget processes, having approved in 1994 the Fiscal Responsibility Act, providing a legal framework for transparent management of public resources. I have yet to discover any other country doing so! I have always believed, that when governments create red tape and zig-zag policies, constant U-turns, it is an active potent avenue to spearhead corruption and this is very true in many countries! And there is a very high correlation between the incidence of corruption, and the extent of bureaucratic red tape, as captured, for instance, by the Doing Business indicators suggests, the desirability of eliminating as many needless regulations while safeguarding the essential regulatory functions of the state. The sorts of regulations that are on the books of many countries—to open up a new business, to register property, to engage in international trade, and a plethora of other certifications and licenses—the engagement of foreign workers, all these are sometimes not only extremely burdensome but governments have often not paused to examine whether the purpose for which they were introduced is at all relevant to the needs of the present. My call to all governments in the ASEAN/APEC region is basically immediately to eliminate laws and programs that breed corruption. 4. Replacing Regressive and Distorting Subsidies with Targeted Cash Incentives. Subsidies are another example of how government policy can distort incentives and create opportunities for corruption. We are agree that the objective of subsidies were to address inequalities and economic disparities within target populations by a “means test” but these are also under attack by abuse! Did you know that according to an IMF study (2013), consumer subsidies for energy products amount to some $1.9 trillion per year, equivalent to about 2.5 percent of global GDP or 8 percent of government revenues. These subsidies are very regressively distributed, with over 60 percent of total benefits accruing to the richest 20 percent of households, in the case of gasoline. Removing them, could result in a significant reduction in CO2 emissions and generate other positive spillover effects. In many countries, which includes Malaysia, subsidies often lead to smuggling, to shortages, and to the emergence of black markets. Putting aside the issue of the opportunity costs (how many schools could be built with the cost of one year’s energy subsidy? ), and the environmental implications associated with artificially low prices, subsidies can often put the government at the center of corruption-generating schemes. I have always advocated, that it is far better to replace expensive, regressive subsidies with targeted cash transfers with the protocols put in! Should this not be instead encouraged now? Thanks to a globalized economy corruption, today has a cross-border dimension, and the international legal framework for corruption control is a key element among the options open to governments. And I am grateful that this framework has improved significantly over the past decade. And in addition to the OECD’s Anti-Bribery Convention, in 2005 the UN Convention Against Corruption (UNCAC) entered into force, and by late 2013 had been ratified by the vast majority of its 140 signatories. Let me tell you, that the UNCAC is a promising instrument, because it creates a global framework involving developed and developing nations and covers a broad range of subjects, including domestic and foreign corruption, extortion, preventive measures, anti-money laundering provisions, conflict of interest laws, means to recover illicit funds deposited by officials in offshore banks, among others. And those nations who are signatories – you have a duty of care, a social international responsibility to implement these, without fail! And true, that the UN has no enforcement powers, and as such, the effectiveness of the Convention as a tool to deter corruption will very much depend on the establishment of adequate national, international and cross border, monitoring mechanisms to assess government compliance and major global sanctions to follow for noncompliance. As an attorney, I have always argued that a more workable approach in the fight against corruption may consist of more robust implementation of the anti corruption laws in the 40 states that have signed the OECD’s Anti-Bribery Convention. And there must be political will, not rhetoric and attempts to protect shenanigans and politicians, under the excuse, that corruption is a domestic affair and its exposure undermines the sovereignty of a nation! To be effective, in the private sector, governments, will need to be more pro-active in cracking down on OECD companies, that continue to bribe foreign officials. 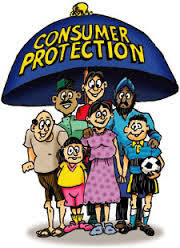 In their efforts to protect the commercial interests of national companies, governments have at times been tempted to shield companies from the need to comply with anti corruption laws, in a misguided attempt not to undermine their position vis-à-vis competitors in other countries. And certainly, trade promotion should not be seen to trump corruption control. Many governments continue to be afflicted by double standards, criminalizing bribery at home, but, often looking the other way when bribery involves foreign officials in non-OECD countries or the other way around? Just as government-induced distortions, provide many opportunities for corruption, it is also the case that frequent, direct contact between government officials and citizens can open the way for illicit transactions. And one way to address this problem, is to use readily available technologies to encourage more of an arms-length relationship, between officials and civil society! 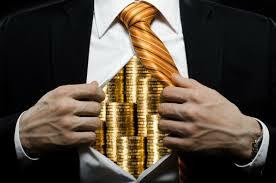 In this respect, the Internet has been proved to be an effective tool to reduce corruption. In several countries, the use of online platforms to facilitate the government’s interactions with civil society and the business community, has been particularly successful in the areas of tax collection, public procurement, and red tape. Perhaps, one of the most fertile sources of corruption in the world, is associated with the purchasing activities of the state. Purchases of goods and services by the state can be sizable, in most countries somewhere between 5-10 percent of GDP. More so, the arms industry for starters! And not surprisingly, the awarding of contracts can involve a measure of bureaucratic discretion, and because most countries have long histories of graft, kickbacks, and collusion in public procurement, more and more countries have opted for procedures that guarantee adequate levels of openness, competition, a level playing field for suppliers, fairly clear bidding procedures, and so on. In this respect, Chile is one country that has used the latest technologies, to create one of the world’s most transparent public procurement systems in the world. For example, ChileCompra was launched in 2003, and is a public electronic system for purchasing and hiring, based on an Internet platform. It has earned a worldwide reputation for excellence, transparency and efficiency. It serves companies, public organizations as well as individual citizens, and is by far the largest business-to-business site in the country, involving 850 purchasing organizations. I am advised that in 2012, users completed 2.1 million purchases issuing invoices totaling US$9.1 billion. It has also been a catalyst for the use of the Internet throughout the country. So far in my narrative herewith, is aimed at combating corruption, with the underlying philosophy that eliminating the opportunity for corruption, by changing incentives, by closing off loopholes and eliminating misconceived rules that encourage corrupt behavior, we address the issue. But at the same time, I am fully committed to an approach, that focuses solely on changing the rules and the incentives, accompanied by appropriately harsh punishment, for violation of the rules! To be far more effective, if it is also supported by efforts to buttress the moral and ethical foundation of human behavior. Will this happen or forever be a dream, only time will tell! CASSA – Turun kadar GST, kurang penggangguran untuk Bajet 2017! 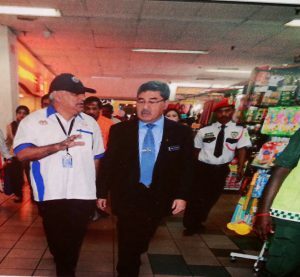 Presiden Persatuan Pengguna Subang dan Shah Alam, Datuk Dr. Jacob George berkata, walaupun ia sukar dilakukan oleh kerajaan tetapi cadangan itu wajar dipertimbangkan dengan mengambil kira lonjakan kos hidup, peningkatan pengangguran dan penurunan perbelanjaan. 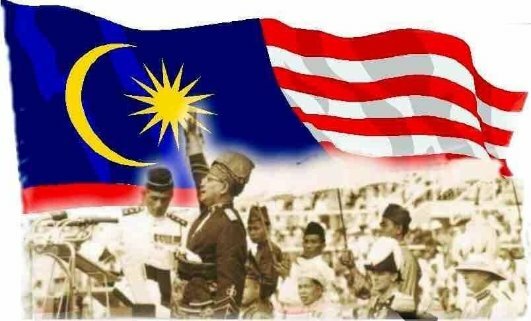 Malah, ada juga pekerja yang diberhentikan pekerjaan selepas majikan mahu mengecilkan saiz perniagaan atas alasan ketidaktentuan ekonomi. “Lantaran itu, saya cadangkan kerajaan kurangkan kadar GST kepada 3.0 peratus agar pengguna boleh ‘bernafas’,” katanya kepada MalaysiaGazette. 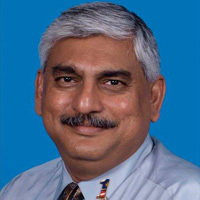 MALAYSIA’S ASEAN/APEC LEAD CONSUMERIST DR JACOB GEORGE SAYS – MANPOWER TRADE IS EVIL BIG BUSINESS AND GLOBAL ASSISTANCE NEEDED TO ADDRESS IRREGULARITIES! “I do not believe in the fallacy portrayed by the industry that local are difficult to get as they do not like the dirty, dangerous jobs! Let us be honest – manpower is big business! There are Ministers, politicians, cronies, civil servants, brokers, agencies involved in this multi-billion ringgit industry! In countries like Bangladesh and Nepal , this is a very lucrative business! In essence the foreign workers industry is corrupt to the core! That is why unlike Singapore, many foreign workers dependent countries do not have a consistent policy and formula addressing foreign workers industry and issues. So you hear something said in public but what takes place behind closed doors is another! And believe me – there are only a few good men and women in this industry! It is extremely difficult for one to survive unless you are an insider and support the philosophy that binds them – total greed! One thing is very common among the stakeholders and players of this industry. The generation of wealth from the gains made from workers desperate to go abroad to earn a wage much higher than the home state so that families can have a higher standard of life! In countries like Bangladesh, it is a racket, a beehives of “thieves and robbers’ in suits, fancy cars, high positions in government and the civil society. And there is a difference – while foreign workers from most source countries venture into a foreign land for a tenure of years, Bangladeshis on the other hand predominantly, are actually economic migrants masquerading as workers. In one country, where Bangladeshis are very popular among politicians, cronies, civil servants, manpower agents, as the monies collected directly, indirectly or through proxies will make one a multi-millionaire – you can see how they have continued to remain in the country, married local women, started a business, some big business, and some even managed to get local identity cards and these days, honorifics? Monies by the suitcases and in cash is no problem, as long as you can deliver a major quota! So the only way to address this, they know you need to have within your control politicians, from a ruling dominant party in a country, who has access to the decision makers! And policymakers and politicians know fully well, that these are political war lords from where you have delegates voting bloc, one cannot afford to upset them and politically expect to survive! So it is a symbiotic relationship! So for example, you may have situations where approvals are given for DP10, which is a professional visa but who comes through are ordinary unskilled workers from Bangladesh, only to end up illegal, when the following year they are unable to provide legal justification of tax returns and other documents to justify their work visa. Currently, I am advised over RM50 million have already changed hands for such an arrangement, but, the papers are still lying on the desk of a senior civil servant despite ministerial approval as he refuses to go forward! The political war lords are furious! These predators need such business from ill-gotten gains of this trade, to satisfy their lust of the bourgeoisie lifestyles of patronizing high end entertainment and food, property, cars, women, travel and indulging in many other vice? Can you stop the trade by local action? Certainly not, as they are entrenched far too strongly. We are told rightly or wrongly that they are the untouchables! 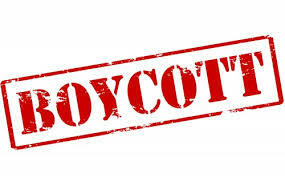 So the fact remains, this is one industry that can only be changed if customers buying products or services in developed countries and emerging economies boycott these company’s product to drive home standards and embarrass the hands that feed them globally! As a global advocate of zero fee for foreign worker’s employment and successful implementer in several countries, I know the alternative practice can be initiated despite greed, hurdles and attempts to waylay the process by the cartel! I do not disagree that in emerging economies and developing countries, foreign labor is an important part of the economy. Using migrant labor can contribute to the development of a country, but it can also cause economic problems when implemented with criminal intentions. We must always remember the cardinal rule in the employment of foreigners! Not at the expense of the locals by suppressing wages demands and a higher standard of living of the domestic population! All the domestic sectors, be they plantation, construction, manufacturing, agriculture or services are currently doing it for obsession for higher profits and huge take home salaries and bonuses for the elite of the industry’s management players and their shareholders abroad, while giving lip service to calls for accountability, good industrial, labor, compliance and management practices! Now what are some of the advantages and drawbacks of expatriate labor for a country’s economy? The development of countries such as Singapore, Brunei, the Gulf countries, and even the US has been helped greatly by millions of foreign workers. 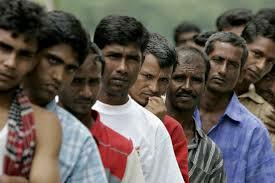 While foreign workers are cheap and quick, they can also cause problems for the economy of the country. This is why we need a ‘black hand free’ and a balanced approach to employing foreign workers. To me the concept of cheap labor is criminal! They also destabilize the local labor force from seeking higher wages! Of course, let us be honest, that is why multi and trans-national companies are investing in countries where there is cheap human resources! Not because they have seen the light and have the Lord Jesus Christ as their personal savior and Lord! As such for me the basic minimal wage should be USD500.00 for starters in emerging economies and developing countries! So if you are using cheap unskilled work force from Bangladesh, India, Nepal or the Philippines at USD 285.00 and they through their desperation are alright with it – this does not make it right! I do not believe in the fallacy portrayed by the industry that local are difficult to get as they do not like the dirty, low, dangerous jobs! Ultimately, if the salaries are good, and the working conditions and benefits adequate I see no reason why we cannot have locals filling the gaps where there are currently foreigners! CASSA is soon to launch OIPAM – OPS ISI PENUH ANAK MALAYSIA ( Operation Priority Local Hire) in several states in October 2016 by several heads of states! From our dialogues and interactions, with national stakeholders, we were overwhelmed that they were desirous to work alongside CASSA for this major national and international initiative! This would be all round good for any nation and stop the loss of foreign exchange especially at a time a country is facing multilevel challenges from being a failed state! Finally, I need not say more about the challenges on internal security having millions of foreigners in a country and the pressure it exerts on demographic space of the locals, services as healthcare, housing and food resources! We are reminded of the fallout in the UK and Brexit! One final point – I do not expect any change for the better in this sector, as there are far too many powerful forces and political tentacles entrenched to maintain the status quo! And this, despite the hypocrisy of delivering speeches in and out of the country of holistic change by policymakers and politicians in the region? But voices like mine and others, will continue within the various corridors of power in the ASEAN/APEC constituencies to bring about change that we can all believe in! 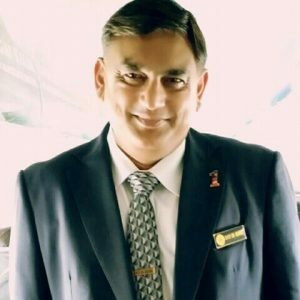 MALAYSIA’S & ASEAN/APEC LEAD CONSUMERIST DR JACOB GEORGE SAYS – MH370 LEGAL PROCEEDINGS , FAM, CORRUPTION – WHY FEAR THE TRUTH? Why the fear of the truth and discovery? What are we really hiding, or protecting that the truth should always be hidden, while our politicians, our civil servants, policymakers, those entrusted to protect our coffers and national treasures and others double speak not just about their self-righteous religious credentials but also their claims of upholding the truth when their actions and lifestyles, paint a different picture? Three incidents today raises this question to greater heights! First, I am drawn to a question I raised in my August 23 post when I asked policymakers and custodians of our national airlines MAS. “Are we the only country which uses or abuses, a A380 on routes it should not be flying or keeping one just for spares? So much for return on investments! Of late, we have given away routes, we always had and now working like a regional airline, while our former lucrative destinations are given over in a plate to a competitor by someone rumored to be joining them if the rumor is to be believed? Any conflict in interests issues here? government and Malaysia Airlines System Bhd (MAS) to provide a general discovery document to 76 relatives of 32 passengers who were in the doomed MH370 flight that disappeared in March 2014. This is on the grounds that the plaintiffs are entitled to the information, as they have brought suits against the government and the airline. The decision was made by judge Azizul Azmi Adnan in chambers. 76 plaintiffs filed the lawsuit on March 7 in regard to their missing relatives who were aboard Flight MH370, which was heading to Beijing from Kuala Lumpur on March 8, 2014, when it disappeared without trace. The plaintiffs, comprising 66 Chinese nationals, eight Indian nationals and two American citizens, named MAS, the Civil Aviation Department director-general, the Royal Malaysian Air Force and the Malaysian government as defendants. 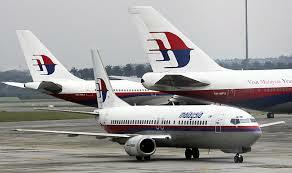 The court also fixed Nov 3 for case management for all the 28 suits brought by the passengers on board Flight MH370. In their statement of claim, they alleged that the disappearance of Flight MH370 and death of the 239 passengers and crew were due to negligence on the part of MAS. 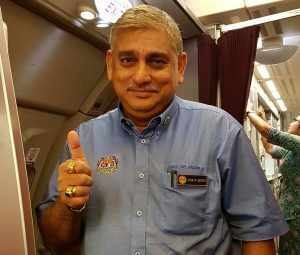 They alleged that MAS had breached the contract of carriage it entered with passengers, that it would be responsible for the airworthiness of the aircraft and safety of the passengers on board. 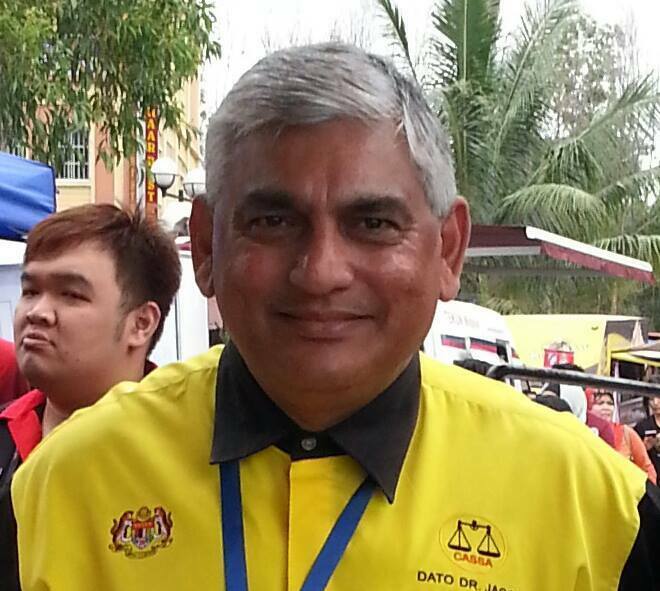 Thirdly, I am again drawn to a statement by Malaysia’s Youth and Sports Minister Khairy Jamaluddin slamming the Football Association of Malaysia (FAM) over its preoccupation with seeking out the whistleblower who leaked a pen drive containing the association’s documents to Johor Crown Prince Tunku Ismail Sultan Ibrahim. The minister said FAM should not be hunting down the individual responsible for passing on the information, but instead reveal its contents so that it can be evaluated by the nation’s football fans. Let me deal with the third first, as the other two in my mind are connected! While it is noble to raise this matter, the pertinent question that the minister has failed to acknowledge is – is this not the mentality we have bred so long in this country? Every time someone raises a question on corruption, inappropriate behavior, abuse of power, or controversial, we have had them ostracized, threatened, both with draconian and outdated statutes and both political and others! After 47 years of this, which was further improvised post 1981 – we have bred a community, who have perfected the art and skill of theft and corruption! Now many think it is a birth right? So you cannot blame any low life politician, civil servant. head of organization, agencies, GLC, NGO for having it in their DNA? And recent exposures by MACC clearly show what is in store! What I am more surprised is as an insider, you, Sports Minister Khairy Jamaluddin are always aware of these ground conditions, are you not? And what have you done in your capacity as a budding politician? After all, your ministry was also rocked by a similar allegation not so long ago? While I am pleased of your stand here in the FAM affairs this is just the tip of an iceberg where Malaysian politics are concerned? Now, let us look at the MAS fiasco! It is true that a lot has happened since MH370 and MH17 but whether they are for the better or to uphold both national integrity, truth, accountability, good governance, vicarious liability is open to serious debate and contention depending which forum you are listening to! This is disturbing to those addressing public interest matters! That includes the controversial legislation put into place to protect MAS, the retrenchment of over 6000 employees, pilots included, the rehiring process of former staff under new agreements which are alleged disturbing, the selling of some of the fleet, the continued usage of contractors alleged to having links either to a dominant political party or politicians, the giving up of lucrative destinations to a serious contender in the region, and shrinking capacity by almost one-third! This is shocking and preposterous! So is there any conflict in interests issues here? It is now being confirmed that Christoph Mueller, previously chief executive officer at Malaysia Airlines Bhd, joins Persian Gulf carrier Emirates this month, in a newly created position that will see him play a significant management role at the biggest airline by international traffic. From where I am sitting and in the public interest, or using the much lauded and boasted about American standards of compliance, is this not a conflict of interest, which can now be raised by Malaysian ratepayers, who have been bailing out the airlines? 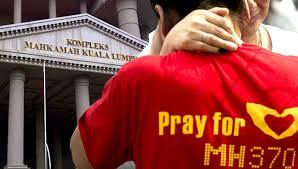 Most importantly, whether those boardroom and corporate decisions were actually for the good of MAS? Will these latest information spearhead court actions by those affected by the decisions of “this individual’s era” which may hurt the brand again? Tell me in all honesty and a religious commitment what is wrong in 76 plaintiffs filing a lawsuit on March 7 in regard to their missing relatives who were aboard Flight MH370, which was heading to Beijing from Kuala Lumpur on March 8, 2014, when it disappeared without trace? The honorable judge saw that there are grounds that the plaintiffs are entitled to the information! This is not an isolated incident but an international tragedy involving more than 14 countries and jurisdictions who were impacted! The legal proceedings should not be waylaid! 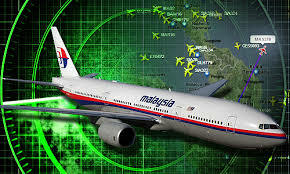 It should be encouraged and facilitated so that the findings of this process and narrative will have impact on the families of 239 who were on board MH370 and God willing, may initiate changes to the aviation industry and duties of both carriers, manufacturers and government agencies expected to carry themselves with dignity, decorum and the truth!